News - Pole Position Travel - Flash sale!! Limited time discount of 200€ pp on ALL our packages for the #QatarGP! Flash sale!! Limited time discount of 200€ pp on ALL our packages for the #QatarGP! Be the first to book your VIP experience to the circuit of lights and see the opening of the MotoGP 2019. 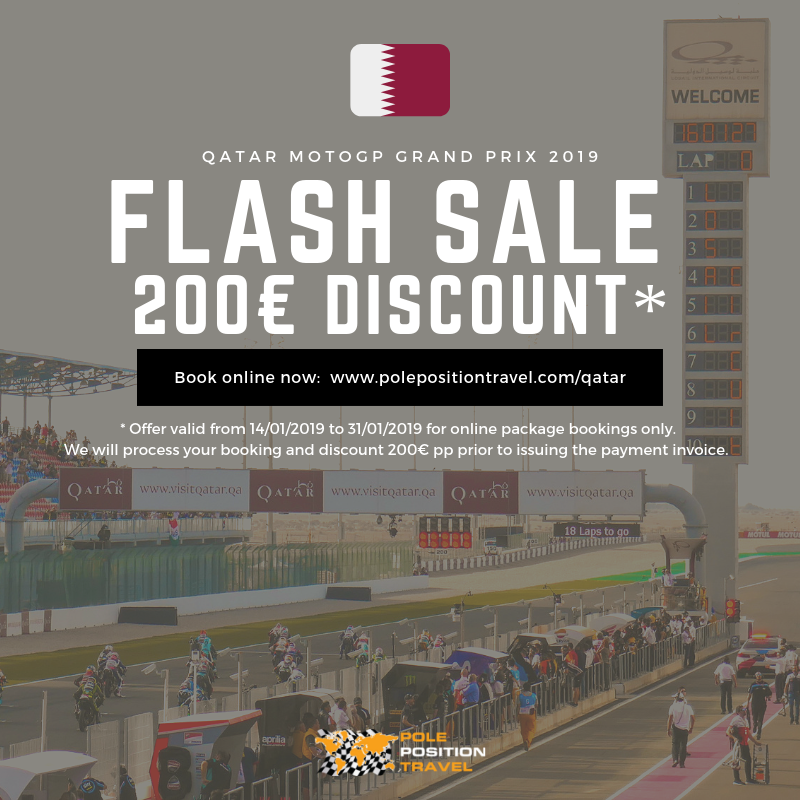 We are delighted to offer a very limited time discount of 200€ pp on ALL our packages for the QatarGP. This offer es valid from 14/01/2019 to 31/01/2019 for online package bookings only. We will process your booking and discount 200€ pp prior to issuing the payment invoice.